Glenn is the NetSuite practice director for Kraft Enterprise Systems. 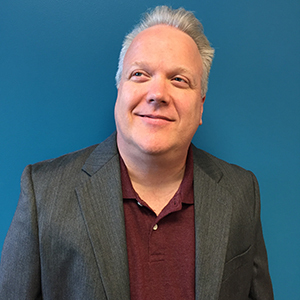 For the last 25+ years, Glenn has successfully led complex ERP deployments, both as an IT leader and as a business systems consultant. Glenn has focused exclusively on NetSuite for the past ten years, first as a client leading the internal deployment of NetSuite and then as a consultant helping others move to the NetSuite solution. Glenn joined KES at the start of 2017 and with an extensive background in software development, project management, and business operations, Glenn brings a unique combination of technical, operational, and financial knowledge to help solve complex business challenges. His primary business vertical is software and services with an emphasis on revenue recognition, as well as an in-depth understanding of core financials and reporting. As Glenn works with clients to deploy NetSuite, his goal is to go beyond “getting the system live” to instead ensure that the solution deployed is optimized for both short and long term needs. His goal is for KES to be the trusted business systems partner for our clients, building a long term relationship where clients know that they can reach out to KES for insight and help on any of their business system challenges. Prior to joining KES, Glenn spent a number of years working as an independent consultant focused on overseeing complex ERP implementations in troubled environments. In an earlier life, Glenn led Project Management Offices, Information Technology organizations and Product Management teams for both private and public companies.